This warranty does not cover cameras that have been:1. Neglected or abused (including, but not limited to, water damage caused by submersion, battery leakage, or improper storage).2. Modifications or repairs by unauthorized agents.3. Damaged cameras that have cracked or broken outer cases due to excessive impact, heat, or mishandling.4. Damages caused by wild animals. 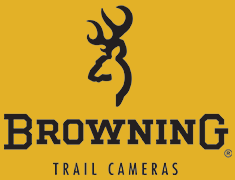 In the event warranty service is needed, contact Browning Trail Cameras customer service at 1.888.618.4496 and select option 2. Knowledgeable agents are available Monday through Friday from 9AM to 5PM CST to troubleshoot any issues with your trail camera. Should the camera need to be sent to the warranty center for service you will need to either have registered the warranty via the website or provide a copy of the purchase receipt. You are responsible for packaging and shipping cost of your camera to our warranty center.